If you search Lulu for "gongfarmer's almanac", you can also find the books for 2015, 2016, and 2017. My first product is up on RPG Now! It is "pay what you want" and is a list of 600 place names taken from the Bible that you can use in any RPG setting, especially ancient historical or sword & sorcery campaigns. Let's read Mutant Crawl Classics! 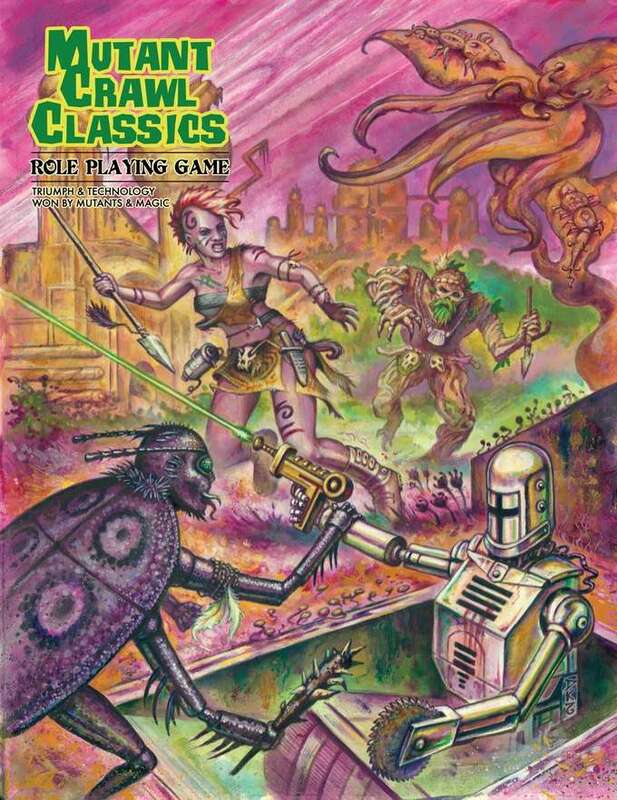 Over at rpggeek.com I am reading through the new Mutant Crawl Classics RPG by posting a bit about each section and then saying what I think about it and inviting others to do the same. 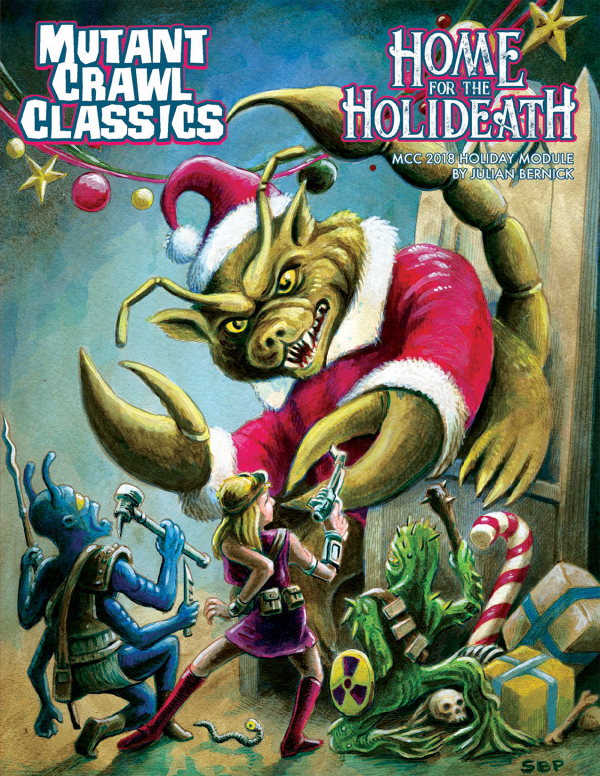 Please take a look at https://rpggeek.com/thread/1994342/lets-read-mutant-crawl-classics and let me know what you think! The 3rd Louis L'amour Western novel in my pile is Heller with a Gun. The hero is a super fast gunfighter, the title's heller with a gun. He encounters an acting troupe making their way west and they've hired a guide to take them through the snow-covered mountains. The hero falls for one of the actresses and realizes the guide is a crook after the actors' money. So he follows them but before he can rescue the acting troupe, the hero is ambushed! The woman lock themselves in a wagon and have a gun to protect themselves. The sole man of the acting troupe gets away and finds the hero and they hole up in a cabin while the hero heals from his wounds. Then begins a game of cat and mouse with the bad guys trying to find the escaped actor and the actor getting advice from the hero and trying to free the women. Then a third faction arrives - hostile Indians! First the Indians try to steal the hero's horse. The hero has healed enough to shoot one and drive the rest away. Then the Indians attack the wagons, killing some bad guys and getting the locked wagon door open. The hero arrives just in time again! Then the cat & mouse game starts again. The surviving bad guys are after the good guys and the Indians may be after them both! The good guys are trying to make it to town and near the end, they stay at another cabin for the night. There, they are attacked by the bad guys who capture the male actor and the female actor who the hero has fallen for. Luckily, the hero is a heller with a gun! The great thing about this book are the different factions interacting, the hiding and finding, and the action scene at the end where the bad guys have the place surrounded. A very nice adventure or even a random encounter for sandbox play!